My own Christian background has been largely among those of a more theologically conservative ilk, although in recent years as I got more into community activism I rubbed shoulders a lot more with those dastardly liberals, which these days includes Evangelicals who when one digs deep are really Liberal. I confess that over the years I have had run-ins with both groups. With the conservatives it is their hollow dogmatism and sanctimonious bigotry and with the liberals it is their woolly thinking and propensity to sacrifice truth for what is expedient. Yet I have met many wonderful people in both groups. I was partly inspired to think along these lines given some recent exchanges with those from each of these groups. One friend recently sent me an article titled: “Paul vs. Jesus …or why modern conservative “Christians” (who follow the conservative Paul) are so un-Christ-like and so unlike the Jesus (a liberal) they claim to worship…” I felt the article used weak arguments (I see no incompatibility with the teachings of Jesus and that of Paul (and also James) but saw how Conservatives might focus on certain portions of scripture to bolster their position and Liberals focus on other, for the same reasons. In truth scripture should be taken as a whole and we should not cherry pick. While conservative and liberal theologically does not necessarily transpose into conservative and liberal politically it often does. Labels can be misleading, especially if undefined, so here goes at my attempt: Conservatives put a good deal of store on sound doctrine based upon what the Bible says, and attempt (often with limited success) applying that doctrine to the way they do church, interact with the wider community and live out their lives. Liberals put less store on sound doctrine although they might dispute that, but they do tend to be a lot broader in their interpretation of what the Bible has to say. They tend to see doing good works and making their churches attractive to outsiders as being especially important. Historically, the relationship between conservatives and liberals (and here I exclude Catholics for the time being) has been uneasy. At different times, Conservatives have accused Liberals of apostasy, compromise and being men pleasers; Liberals have accused Conservatives of being narrow, lack of charity and bigotry. 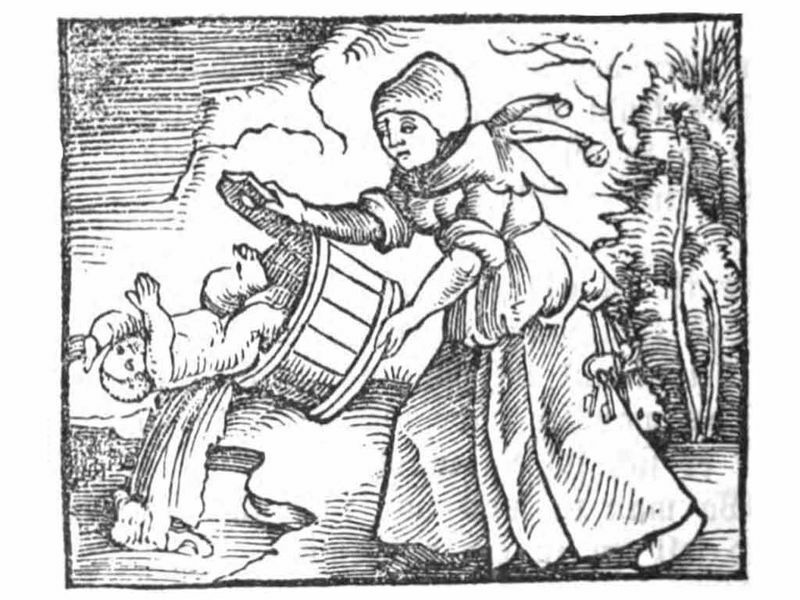 I have observed, although that may be disputed and in any case it is rarely that clear cut, that Liberals tend to throw the baby out with the bath water and Conservatives tend to retain both the baby and the bath water. Liberals keen to be relevant and seeking to be more in tune with the pre-occupations of the age might tone down the doctrine based approach in favour of a more seeker friendly one. For example, they are less likely to preach on sin, judgment and hell and the need to repent (all key doctrines – the baby), and instead focus on what it takes to be a good neighbour, which might translate into community activism. They are more likely to be LBGT friendly and see their mission in terms of reaching out to and being friendly to groups hitherto excluded. Many will reject that only through Christ one can be saved. Conservatives see their role as being custodians of the Word of God, which is unchanging. They are more likely to preach on sin, judgment and hell with the view to converting souls. They are less likely to be LBGT friendly and are often seen as homophobic. While recognizing the need to be good neighbours they tend to be less into community activism (and some might see this as a distraction) and more into preaching the gospel and teaching sound doctrine. They are more likely to be set in their ways and holding onto tradition – thus the accusation of retaining the bath water. Most would hold to the notion that one can only be saved through faith (in Christ) by the grace of God. All this is rather stereotypical and there are many views on many issues in either group, yet as I survey churches in my locality I see many falling into one or other group, with some veering increasingly toward liberalism and others trying with mixed success to take the best from the two groups. All face the baby and bath water challenge. The fundamental problem I see facing the church today is there is a gap between believing what the Bible teaches and doing what it teaches. While “hypocrite” is a rather strong word, many looking in from the outside are put off by the discrepancy and some more on the inside give up in despair. The teaching of Jesus that they (the world) will know they (his followers) are his followers by their love and when they see that love in action they will come to believe, all seems a far cry. How many of his disciples go out and out loving their neighbour, whoever he/she is, and given the huge plethora of need, how are these dealt with, for the opportunities are legion? How many take the commands and promises of God seriously and pray accordingly. The human need is great; Christ can meet that need; and the Church is His instrument. Mine is not to judge but the scriptures also remind us that judgment will begin in the Church. Others may well come up with other scenarios where baby and bathwater springs to mind, e.g. the place of the Gifts of the Spirit, but from my view point the issues I have identified are particularly pressing and are also close to home and linked to the church situation I happen to operate in. As for conservative versus liberal, liberal Christians do a great disservice by ignoring the fundamentals of the faith and substituting a false gospel and must be called out when they do (after all, we are called to earnestly contend for the faith), which is what has happened down the ages, starting in New Testament times. Conservative Christians do a great disservice by not loving their LBGT etc. neighbour as they ought and ignoring the plethora of needs within the communities they are meant to serve and issues like social justice as well as stubbornly maintaining traditions at the expense of addressing the needs of the community. All of us need to repent of our lack of devotedness to the one we claim to follow. Rather than retain or throw out both baby and bath water, depending whether we are conservative or liberal, we must retain the baby and throw out the bath water, and live authentic Christian lives at the same time, recognizing that all we do should be done for the glory of God; and this starting with me.